Yesterday my family visited Fort Sumter in the Charleston harbor. 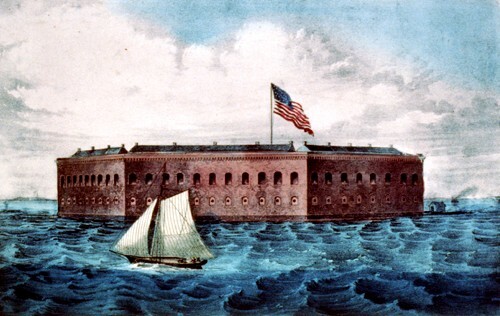 As you likely well know, Fort Sumter is the site of the first shots fired in the American Civil War (or War Between the States). I learned yesterday that even after that war the fort remained a military installation for many years. In fact, it was fitted with anti-aircraft batteries during World War II to protest the city of Charleston from air attack. Only in 1948 was the fort decommissioned and turned over from the War Department to the National Parks. Now, it is no longer a fort but only a museum and historical attraction. Here is the lingering question today. Are you still a congregation that is an active outpost of the kingdom? Do not settle for being a religious heritage society, a museum. Be on the front lines, defending the faith, taking ground for your Commander and His noble cause. Be a church and not a museum.